There’s nothing like long, cold, windy days to take an extended glancing punch at your windows. The temperature alone can make changes to the structure, not to mention the snow and ice. 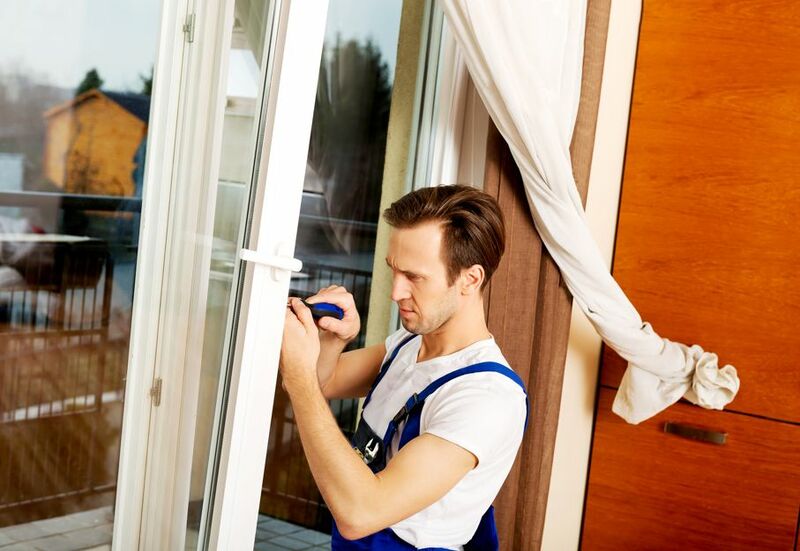 The good news is the most common winter window problems only take a few minutes to diagnose, and are easy and cheap to repair. With spring on the horizon, these little annoyances can cause bigger problems when you’re ready to open up the house to the warm sunshine, so a few minutes now can make your comfort level soar once the cold weather says its final goodbye. The sash (the part of the window that goes up and down) has balancers on vinyl windows, and wood windows have block-tackle balancer systems that can disengage or break. If you have newer model windows, the manufacturer can send you new parts if needed, and they’re free if your windows are still under warranty. You can look at the condition of the balancer system to find the issue by disengaging the sash with the tabs on each side of the top of the sash. This allows the sash to angle in, or if it’s a side-load model, you can move it to the side, then angle in, allowing you to see the spring-loaded system designed to hold the window wherever it’s placed in the frame. You’ll find a tube which holds the spring, and will be able to clearly see if it’s broken or has just become unattached to the sash. If it merely needs attaching, a pair of needle nose pliers is all that’s needed to put it back where it belongs. If it’s broken, parts can be ordered from the manufacturer at your favorite big box home store. Even if you have to fork out the money yourself, they are inexpensive. If your window is wood, keep in mind that weather can quickly warp it since wood responds by shrinking in the winter and expanding in the summer. If your wood window is sticking in the winter, check to see if it has several coats of paint that can be sanded down a bit. If not, dry spray silicone provides a great smooth barrier between the sash and the frame, and won’t collect dirt and dust like the penetrating oils in the popular spray we’ve all used for similar “sticky situations”. For vinyl windows, the same silicone spray can be used, and since it’s dry, there’s no need to worry about the smelly drying times associated with other silicone products. Sash locks are not only one of the most important features of any window to keep you safe, but they’re also one of the easiest repairs in terms of both replacement and cost. 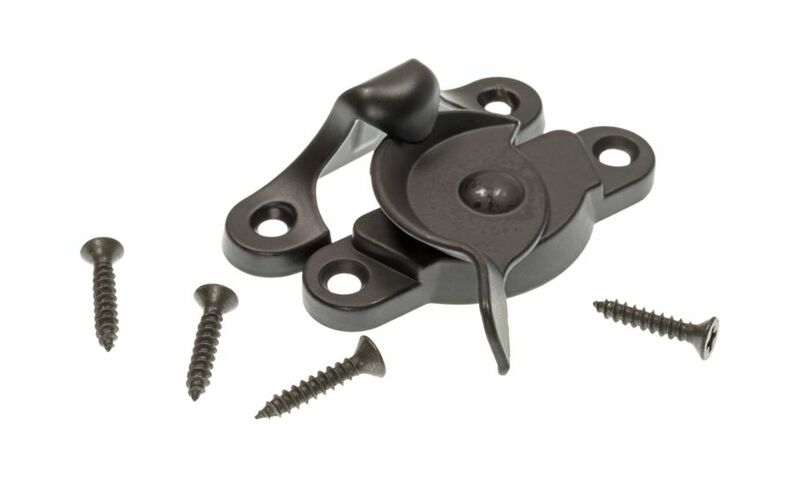 These locks are universal in both wood and vinyl windows, and can be ordered from the manufacturer, or purchased separately in many colors at any hardware store. These are held with two simple screws, so even the most inexperience handyperson can do the job in a few minutes. 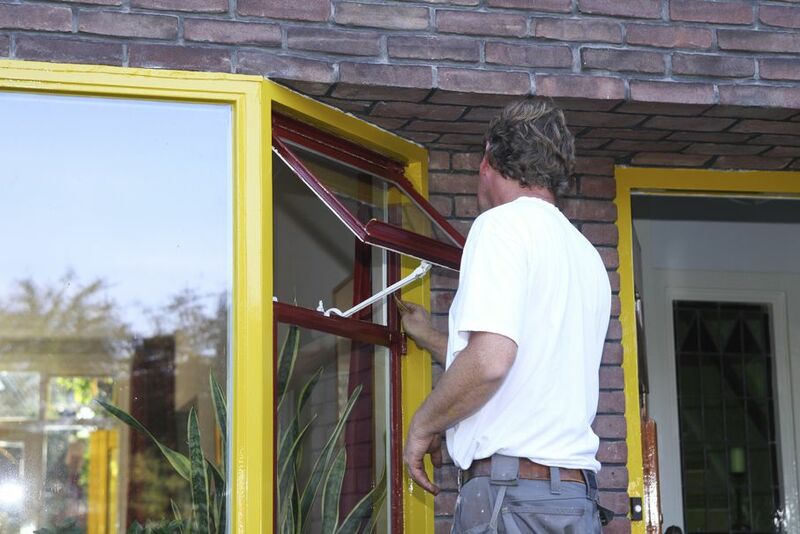 If you have a special-order color on your windows, it’s best to order new locks from the original manufacturer so that they’ll perfectly match the existing shade. This is by far the most common complaint, especially in the winter when ice and snow batter the windows. The exterior caulking of any window is the most important barrier to water, and can break down fairly quickly in any kind of extreme weather. Many quick patch jobs break down as well, leaving large gaps for both water and air to freely flow in. 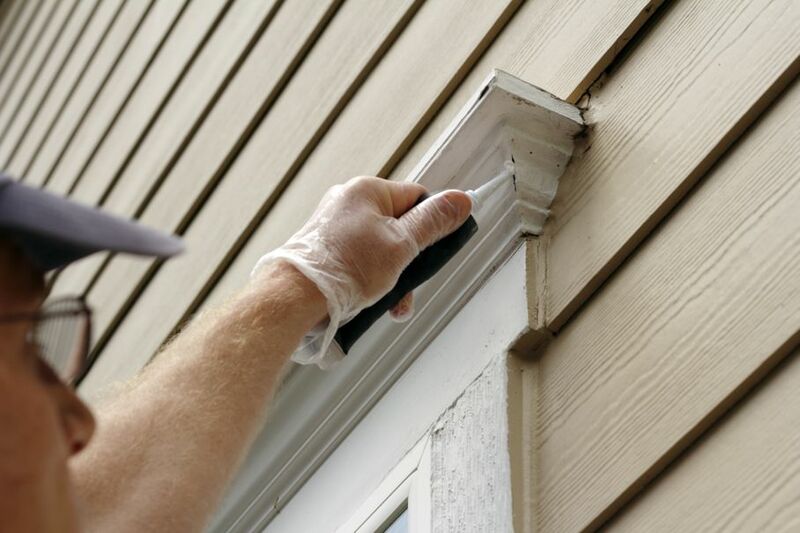 By taking the time to remove ALL the old caulking with a screwdriver or putty knife, and replacing it with brand new exterior grade caulking, you’ll prevent future leaks. Exterior caulking comes in a large variety of colors, but if you can’t find what you need, many brands are paintable for easy color-matching.